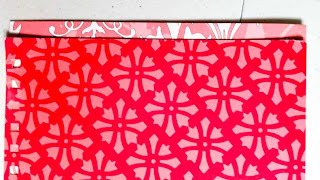 Did you miss any part of our 3 day blog hop? It's not too late to hop along & win some great prizes. 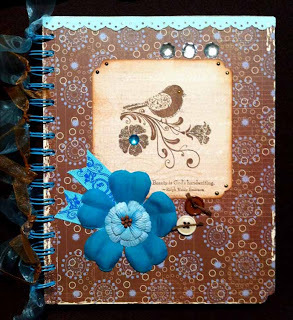 I love the custom look of an altered notebook. 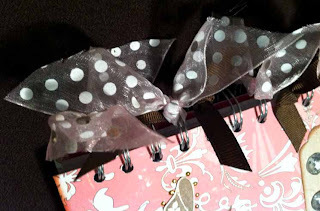 They are really easy to make, although they are somewhat time consuming. 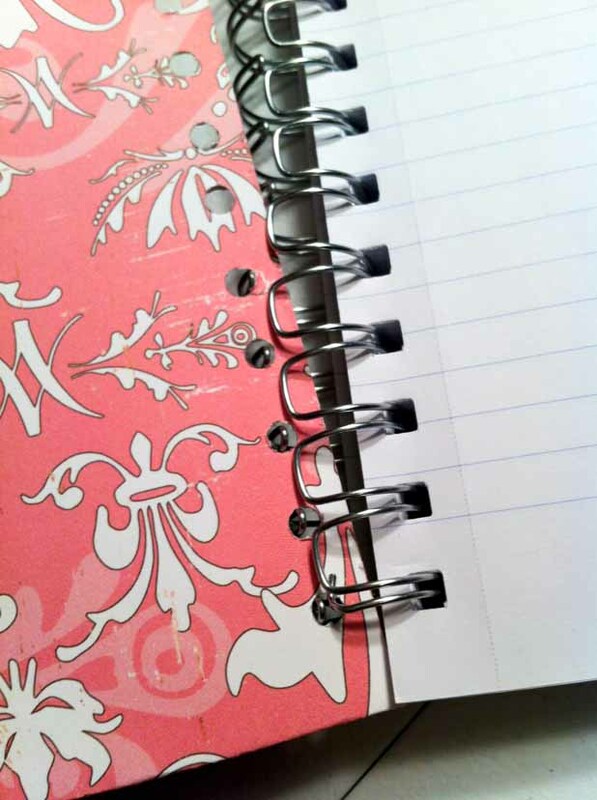 I used a 9x7 notebook that I purchased from Walmart. The type of notebook that I used had a spiral that allowed me to remove the front and back covers. 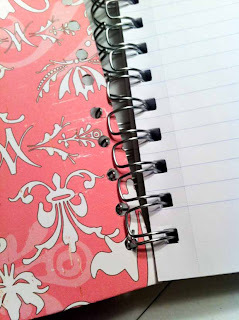 If you use a notebook that does not allow the covers to be removed, simply cut your paper so it ends just short of where the holes for the spiral begin (you will see some altered mini notebooks later that were created in this fashion). 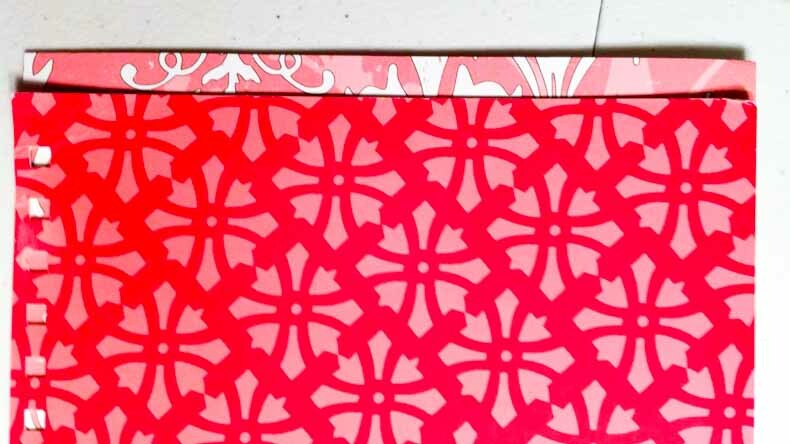 For this project, I cut two sheets of paper 7” wide and 9 ½” long and glued the sheets to each cover using Beacon's 3 in 1 Glue. Make sure you cover your paper completely to get a good bond. You will have ¼” overhanging at the top and bottom of each cover. Fold the ¼” overhang of paper to the inside of each cover. Hold for a few seconds until the glue will hold the paper in place. 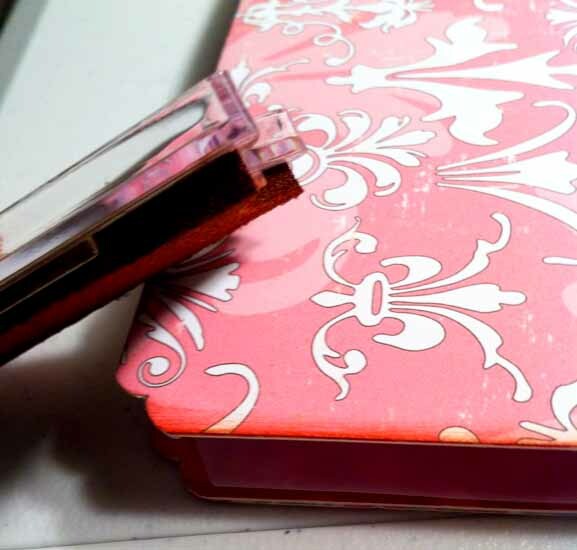 I used a Corner Chomper to create a more decorative look to the edges of the cover. 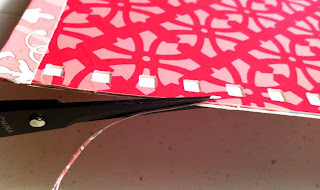 If you do not have a Corner Chomper, simply trim the edges with scissors to match the curve of the cover. 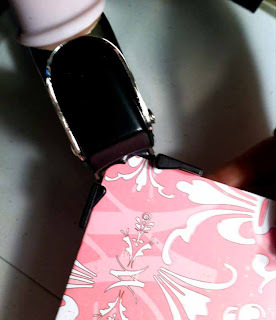 Ink the edges of the covers before reassembling. I used MochaMama PowderPuff Chalking Ink. 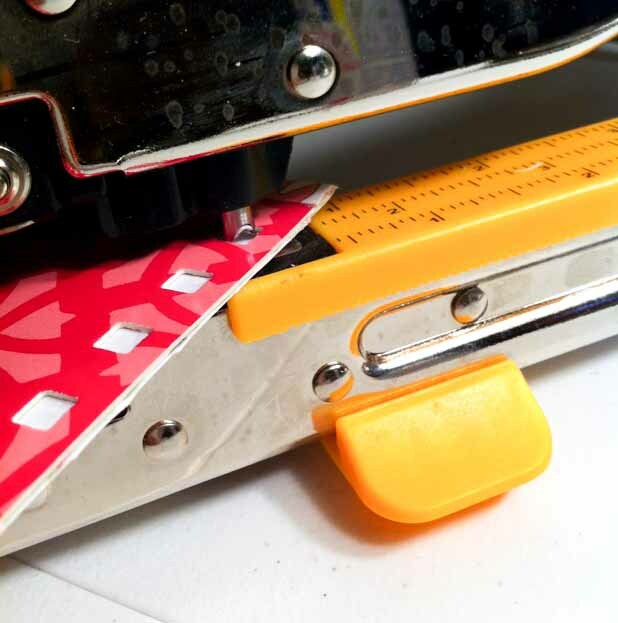 Using a hole punch or a Crop-A-Dile, re-punch all of the holes for each cover. This will allow you to reinsert the spiral into the holes that were already there. Reattach the front and back covers. Tie different colored ribbons to each spiral loop. 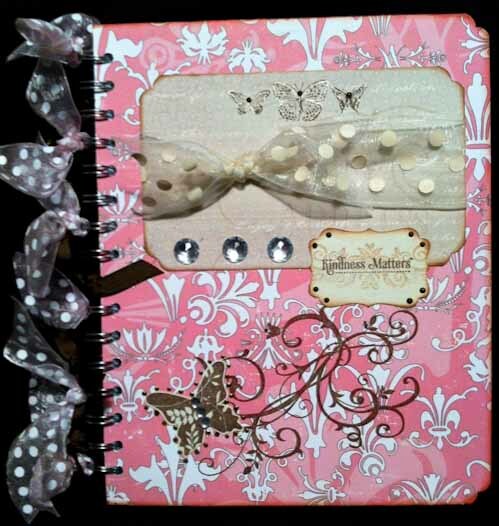 Finish your notebook by adding embellishments. 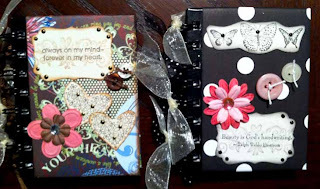 I used a lot of stamped pieces, gems, paint pens, glitter pens, ribbons, flowers and buttons. 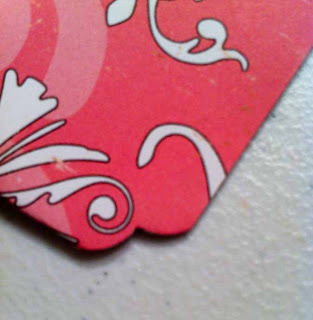 Stickers, Cricut cut pieces, charms, etc. would also work great! 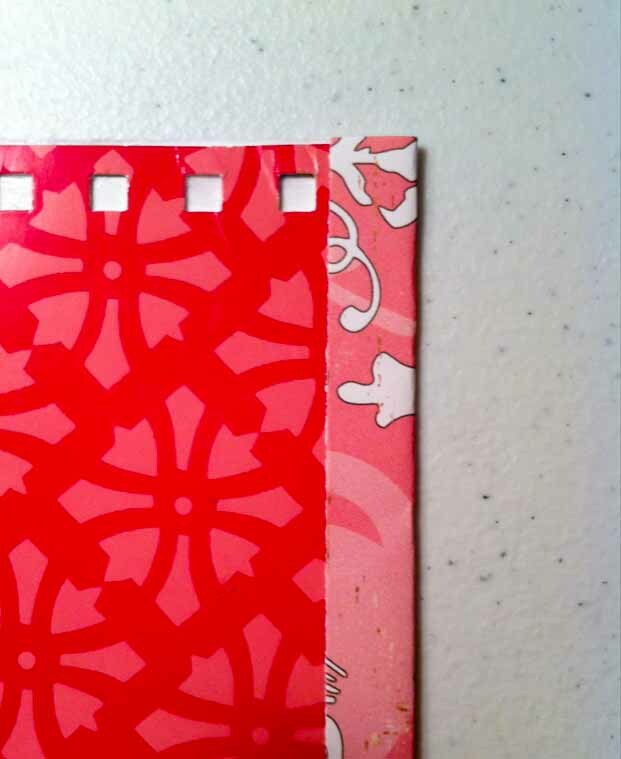 I also altered some mini notebooks that were 4 ½” x 3 ½” in size. 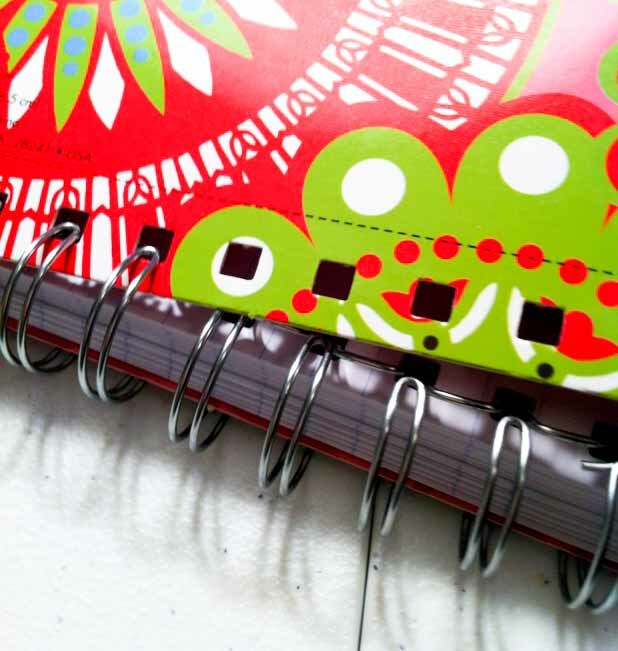 The spirals on these particular notebooks did not allow me to remove the covers, so I simply cut my paper just short of where the spiral holes began. Give this technique a try, it’s a lot of fun and the finished project is so cute! 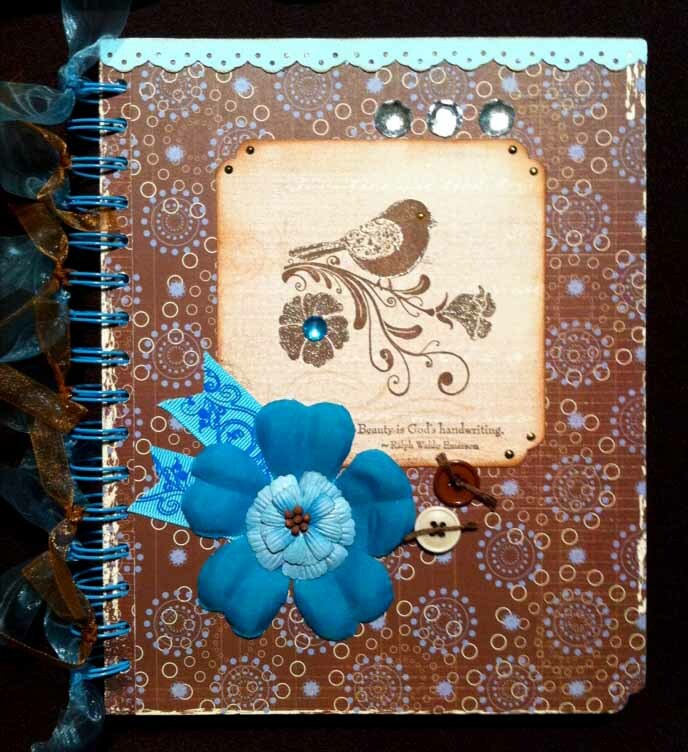 Be sure to check out my blog to see more altered notebooks! Do you have a tip/trick/technique/tutorial that you want to show us? Nice makeover on the notebooks. They look special & unique. Fantastic little notebooks, Jen! I love making things like this with my Bind It All. Your embellishing is fabulous! I'll take the turquoise and brown one! Hee hee!